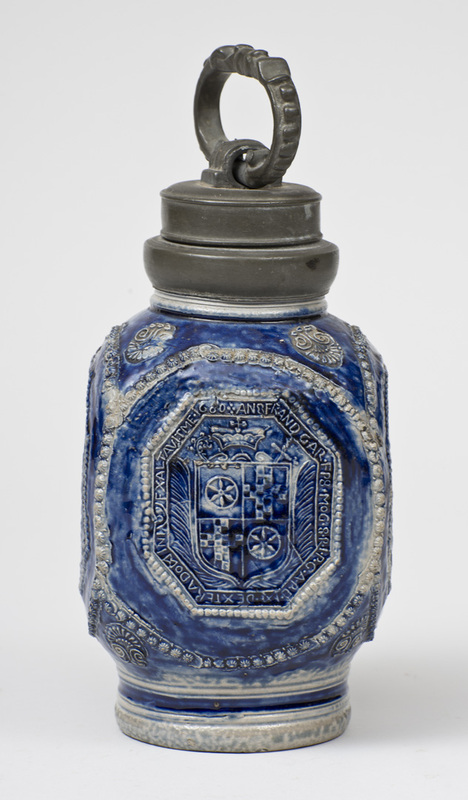 A very fine blue and grey stoneware bottle with armorial panels dated "1680." 7 1/2" h. to top of pewter lid, 9 1/2" h. to top of handle. For a nearly identical bottle, cf. 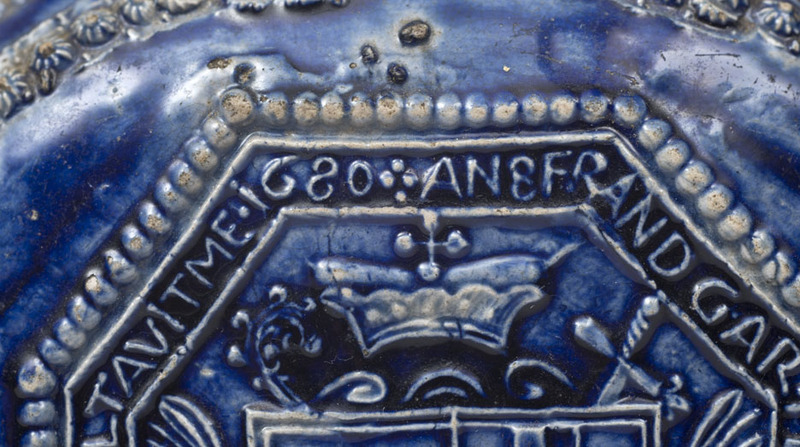 German Stoneware: A Catalogue of the Frank Thomas Collection of German Stoneware, vol. 1, note 57, and vol. 2, fig. 57.